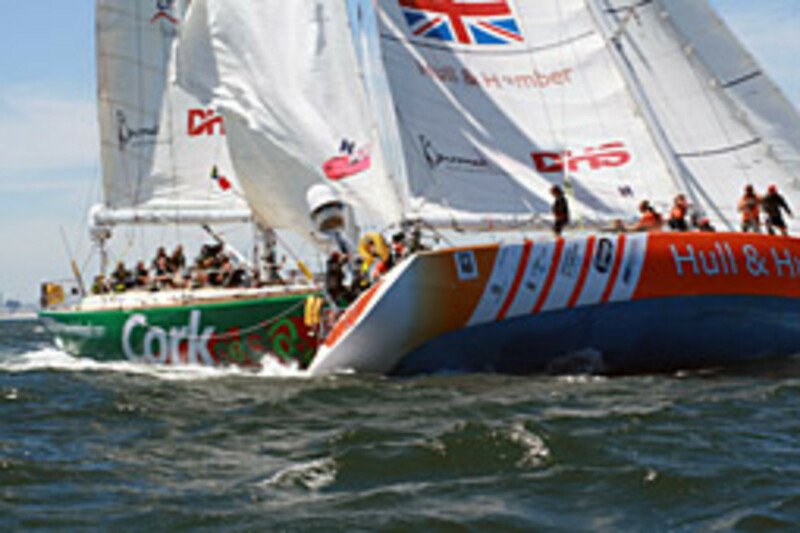 A dramatic start to Race 4 of round-the-world race Clipper 09-10 in Cape Town saw eight of the boats cross the start line for the 4,700-mile race to Geraldton, Western Australia, while a collision between Hull & Humber and Cork, Ireland resulted in the two teams returning to harbor. 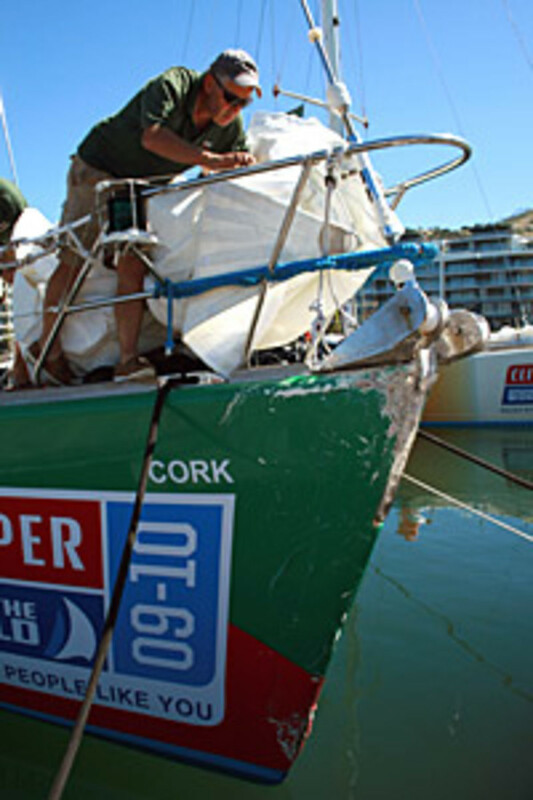 None of the crew was hurt and the race director and the shore team are now assessing the damage to Hull & Humber&apos;s port aft quarter and Cork&apos;s bow. "This is a closely contested race and this kind of thing happens in fiercely competitive racing," says race chairman Sir Robin Knox-Johnston. The fleet will round the Cape of Good Hope before heading down into the treacherous waters of the Southern Ocean, where the first three boats to reach the scoring gate can gain some precious extra points. The fleet is expected to arrive between Dec. 14-18 in Geraldton, Western Australia. Click here for the race Web site.